Losing the twenty-first century was bad enough, but Martha Bigalow's situation is about to become a whole lot worse. 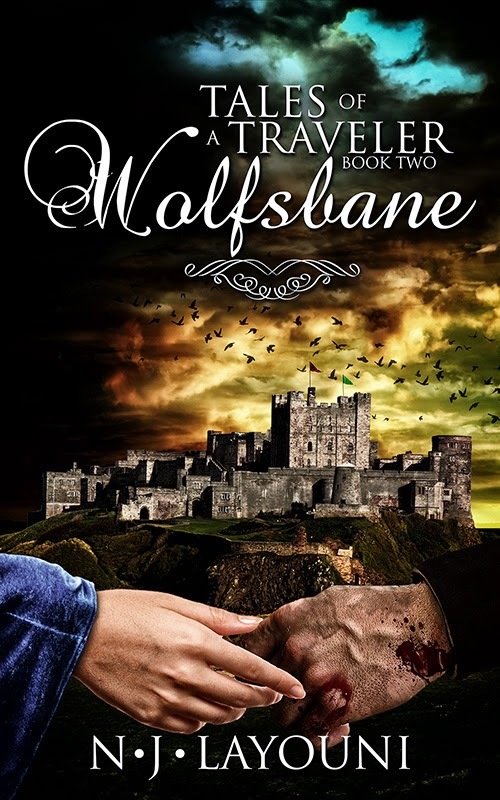 While awaiting her fate in a dank dungeon beneath Edgeway's castle, Anselm—Vadim’s twisted foster brother—offers her a way out, an alternative to a tortuous and painful death. As the castle braces itself for a bitter siege, Martha's loyalty is divided, her love for Vadim tested to its limit... and may even prove to be yet another casualty of war. N.J. Layouni has been weaving stories all of her life—even before she could actually write. For many years, she was a dedicated 'closet writer'. As a result, the attic space of her home is stuffed to the rafters with piles of aging manuscripts depicting fantastical romantic adventures, tales of daring sword-wielding heroes and strong, feisty damsels who aren't too tough to accept a helping hand sometimes. After joining an online critique group, and encouraged by the wonderful people she met there, N.J. finally found the courage to self-publish her work. In April 2014, she published Hemlock, the first book in her Tales of a Traveler series.